Where might your company fall in the list? Are you aware of the value of the intellectual property you hold? Let’s consider what might happen to a company that’s unaware of the value of their IP—because it’s not all about topping lists, is it? While sounding like the plot from a movie, it’s actually more common than one might think: the theft of intellectual property. Whether through corporate espionage—oh, that sounds so dramatic—or theft by a former employee, intellectual property can be and is stolen on a fairly regular basis. There are dozens of cases in the news, like this one, this one, and this one, just to name a few. Even if the company is not the victim of outright theft, if it does not systematically evaluate and manage its intellectual property it is at risk of losing it. Previously our patent law was the “first to invent” wins. Now it is the “first inventor to file” wins. Especially in rapidly evolving industry you have to assume that your people are not the only smart people out there. As Andy Groves, the co-founder of Intel, famously said “only the paranoid survive.” If you don’t want to lose your IP to others you need to be constantly mining your intellectual capital, constantly watching the patent landscape and constantly adjusting your strategy, both business strategy and IP strategy. A deeper understanding of the value of intellectual property can also come into play during the M&A process. One client, when presented with portfolios from several different acquisition options, immediately the chose the largest of the targets with the belief that the financial aspects of the portfolio were proof the intellectual property within was of value. However, a deeper look into the portfolios of the other contenders actually identified a smaller company as having stronger patents in the technology space, and would give the acquiring company a better position when valuing the intellectual property of the larger company for a later acquisition. It’s natural to approach the larger/largest of the target companies first in an acquisition or merger, as the expected revenue is enough to turn anyone’s heads. With full understanding of the value of the intellectual property you’re planning to acquire, however, you can elevate your strategy for greater returns in the future—such as the acquisition of two companies at prices that protect your bottom line. When you purchase insurance for your belongings, you don’t simply list the number of items you own, do you? One diamond ring, three televisions, three computers, etc. No, in order to purchase enough insurance to properly protect your belongings, you must know the value of each item you want to cover. The same is true for your intellectual property. You cannot expect underwriters to have in-depth knowledge of your intellectual property if you, yourself, don’t know the value of what you’re holding. This can lead to limited protection for your assets and your company as a whole. Businesses can spend upward of half a million dollars to maintain a single patent. Businesses with large portfolios with hundreds of patent families might spend as much as $40 million annually. 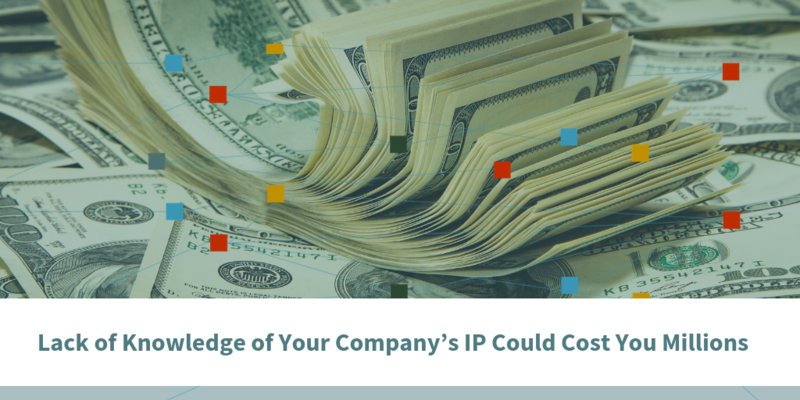 What happens if you don’t know the value of the IP you hold? You could spend millions of dollars maintaining patents you’ll never use. Many of the patents in a company’s portfolio turn out to be a serious waste of money from a corporate viewpoint, including patents that don’t align with corporate strategy, patents surrounding technology that originally did not pan out but where new developments might make the technology viable, and patents held to avoid risk from competitors where the competitors have moved on. You could have hundreds of patents in your portfolio that could be bringing in money through licensing or sales, but only if you’re aware of what you hold and the value of that intellectual property. Why waste money maintaining patents that don’t return on your investment? IPVision can help you determine the value of your intellectual property in a fraction of the time with our iScore program algorithms. Stop throwing your money away and start harnessing the true monetary value of your patents.